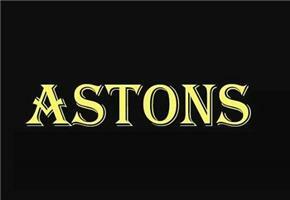 Astons and Co Limited - Fascia/Soffits/Guttering, Windows/Doors/Conservatories based in Newport, Newport. Astons are a family run business with our own fitters who offer an excellent service and an excellent after sales service which is second to none. We aspire to achieve perfect results with every installation which is why we have many happy customers all over South East Wales and England. No pressure sales and no gimmicks just affordable top quality products and workmanship A+++ We cannot be beaten on any of these points and we strive to make each client feel individual and valued. We offer a price promise to all our customers and a triple guarantee consisting of our guarantee, manufacturers warranty and an insurance backed certificate guarantee for your complete peace of mind. We are part of the Certified Installers Network of which there are only two in South Wales and we are Fensa Registered. We are confirmed installers for Truedor and Solidor.